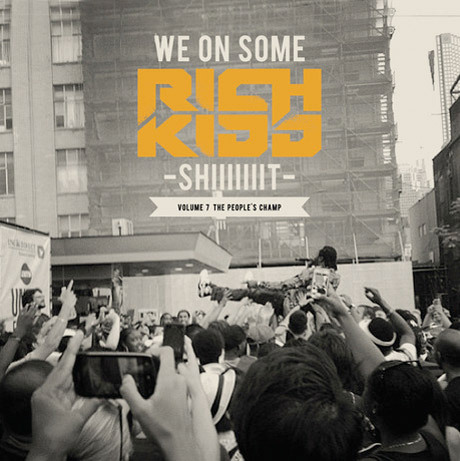 After issuing his In My Opinion last April, hardworking Toronto rapper/beatmaker Rich Kidd is back with the seventh volume of his long-running We On Some Rich Kidd Shiiiiiit. This latest instalment is subtitled The People's Champ, and it has the hip-hop multitasker serving up beats for both himself and a cast of collaborators that include Casey Veggies, K-os, Horseshoe Gang, Torae and more. Rich Kidd also re-teams with his The Closers pal SonReal for the spacious and smooth boom-bap number "Slumber," which got a production assist from former Bass Is Base member Chin Injeti. You can sample the whole 19-song freelease down below, or download it here via LiveMixTapes.